Next time, try rolling the window down. It always makes for better focus. 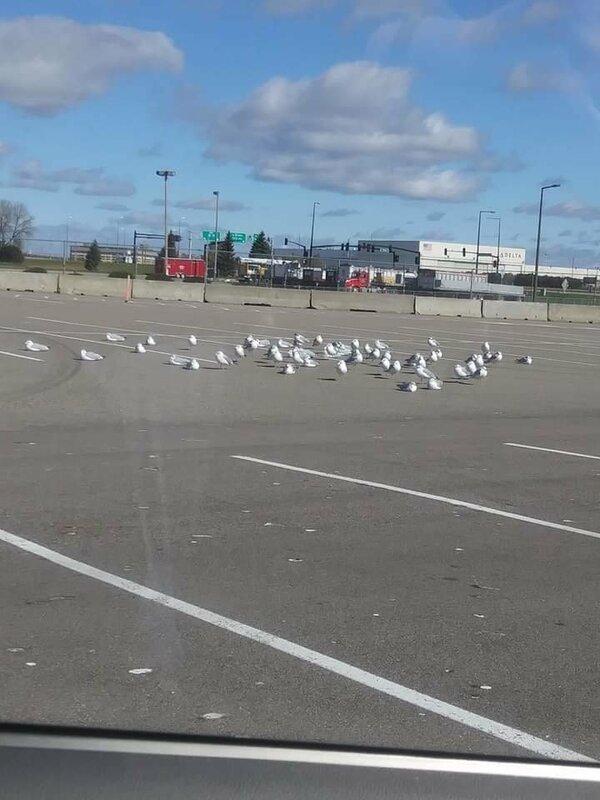 Looks like gulls. Sorry, not sure what kind. I can't say for sure but possibly Ring-billed Gull. They often hang out around fast food restaurants looking for French fries. I'm with HamRHead. I don't know about MN, but Ring-Billeds are the default wintertime parking lot gull here in central SC.